The Leaving Cert is getting longer – extra days are being added to the timetable to accommodate the additional subjects now coming on stream. One possibility is that the exams would kick off before the June bank holiday weekend, while another is for the season to run into the week after the traditional Friday finish. The State Examinations Commission (SEC) is exploring the options with the various education stakeholders to see which would work best. The SEC operates under the aegis of the Department of Education and Skills, headed by Minister Richard Bruton. The idea of running exams on a Saturday – to keep the season within the current timeframe – has been ruled out by the SEC because it keeps those days clear in case a paper has to be rescheduled. 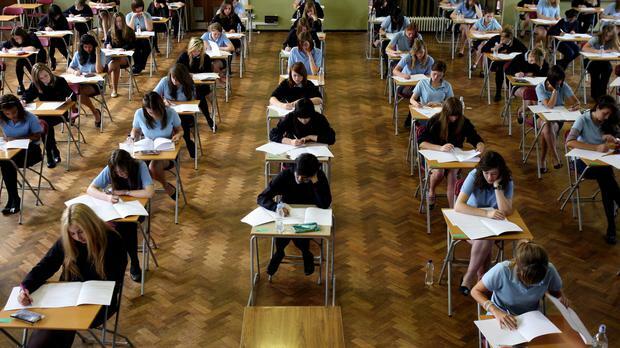 Nor is the SEC keen on starting the exams a day earlier – the Tuesday after the bank holiday Monday – because of issues around delivery and storage of papers over the long weekend. The extended timetable has become an imperative as more Leaving Cert subjects are introduced. This year saw the first exams in politics and society, which were undertaken by almost 900 students in 41 schools involved in the initial roll-out. Its arrival brought to 35 the number of curricular subjects examined over 13 days, as well 16 non-curricular subjects for which exams are held, such as Lithuanian and Polish. It sparked a furore when a number of students realised that they had to sit three exams in a single day. According to the SEC, it is not unprecedented for candidates to have to sit three exams in a day and each year about 70 students are affected. A spokesperson said the timetable was “framed to minimise subject clashes as much as possible, but unfortunately some clashes will occur”. As politics and society expands to other schools, the congested schedule will leave even more students facing the prospect of three exams in one day. A further two subjects will add extra pressure when the first exams are held in 2020. Computer science and PE are being phased in for fifth-years from September. The Irish Second-Level Students Union (ISSU) strongly supports adding days to the existing timetable in order to avoid any student having to sit three exams in one day. ISSU president Leon Egan said that candidates who had to sit three exams in a single day last week “found themselves drained of energy and lacking an adequate amount of time between tests before facing the next one.